It was a hot day and we were out playing with water on the deck. I got some plastic cups left over from a party and we stacked them and counted how many times it too to shoot the cups down. 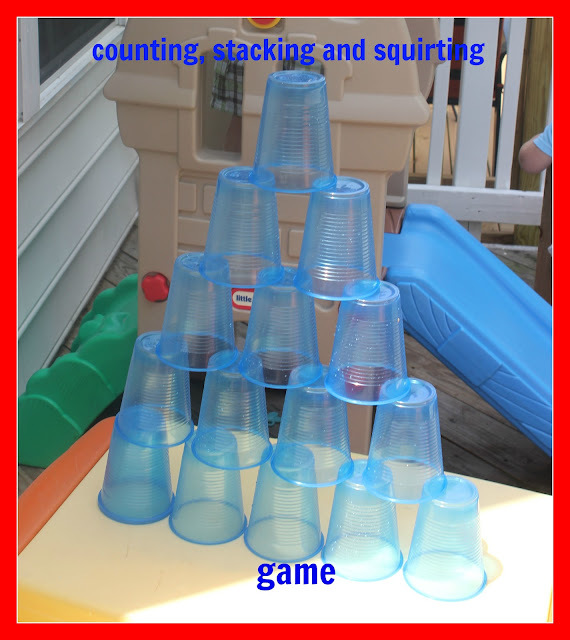 This is a simple game, but while having fun you can count when stacking the cups and shooting them down. Along with working on fine motor skills when squirting the spray bottle. Cups or something light to spray down. Oh he looks like he loved this game. Great for motor skills practice too!